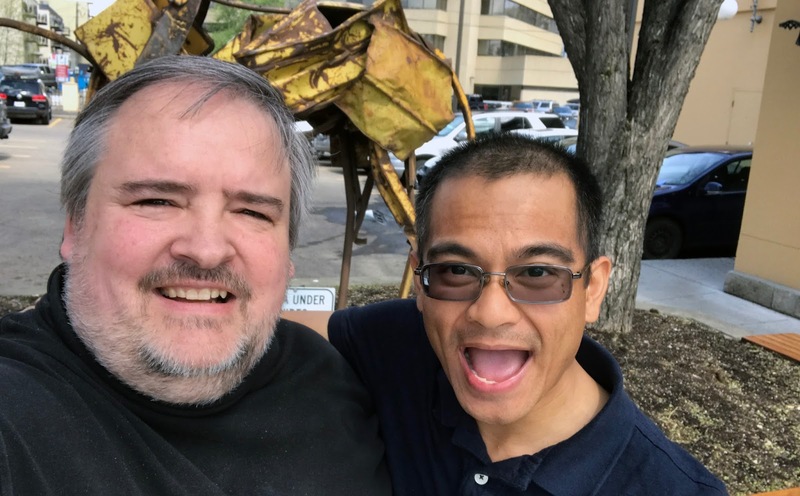 Out of the blue yesterday, my old friend and colleague John Santos let me know he was going to be in town today. So naturally we took the opportunity to meet for a lamentably brief but spirited discussion of (as you might expect for two ex-political staffers) the troubling rise of authoritarian and alt-right movements across the western world. It was great to see John again, and to hear that he's working on his Master's thesis in political science. I look forward to its publication; John is an incredibly smart and astute analyst and observer of worldwide political trends, so I have no doubt his thesis will be an important read.